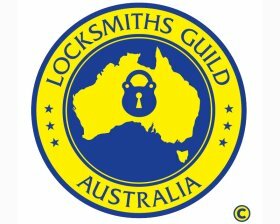 Welcome to 24 Seven Locksmiths Sydney! to resolve all your lock related concerns! Being locked out of your home or business can be inconvenient and unsafe for you and your family. Our reliable locksmith service is available throughout Sydney and its surrounding suburbs. 24 Seven Locksmiths are reliable & prompt mobile locksmiths that are ready to arrive at your location as soon as possible with all the tools and expertise needed to ensure entry into your home or business premises is achieved stress free. We are both residential and commercial locksmith service providers. Our mobile locksmith service in Sydney ensures we can assist you anywhere! We have a dedicated locksmiths’ team that is highly professional and utilizes all the latest techniques - they are able to unlock almost any lock with no or minimal damage caused. 24 Seven Locksmiths are renowned for providing quality locksmith services throughout Sydney. We firmly believe that a client retained is a client earned. At 24 Seven Locksmiths, we are committed to providing you with highest standards of workmanship and reliability. When it comes to serving the needs of our customers, you can rely on us and our experience. Our customers count on us to provide qualified advice on any form of security. 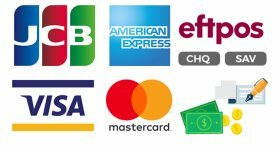 Our continued client growth within the Sydney area has been made possible through our trusted and prompt service and techniques. We understand and take away the frustrations and any inconveniences with installing safety systems. We are licensed and fully insured; our team has the experience, knowledge and capability to assist in securing your home, shop or office. We guarantee all our work as well as manufacturer's warranties Sydney wide. Our fully equipped vans cater for both residential and commercial clients. Our fully qualified technicians are fully committed to provide the best customer experience possible. We offer a total peace of mind with our reliable, fast and friendly service when you need it most. Whether it's a lock service, repair, or keys made for your home or business you need, we have got you covered. For all your lock enquiries do not hesitate to contact us on 0414 626 072.